Got 10 minutes? Follow these 10 simple steps to sign up as a publisher and start earning money from your website! When you're finished, check out our Quick Start Guide to getting your new affiliate program going fast. Signing up (registering) as a publisher in the Rakuten Marketing Affiliate Network is as easy as buying something online. There is one key difference: Joining the Rakuten Marketing Affiliate Network as a publisher costs nothing. Instead, you'll have the opportunity to earn money online from your website, email marketing, and social media promotions! Review these affiliate marketing requirements and recommendations before joining the Rakuten Affiliate Network and getting started with your affiliate marketing efforts. In the steps that follow, we will ask you to enter some information about your business and your website. And in just 5 to 10 minutes you’ll have completed the first step toward using Rakuten Marketing Affiliate Network to earn money with your website. After your application has been reviewed and approved (usually within a couple of business days), you'll receive a welcome email with instructions on how to get started. You will automatically be opted into all the international networks for which you are eligible. The Rakuten Marketing Affiliate Network supports all major browsers. For more information, see specifics about browser settings . Click here to go to the Publisher Registration page. 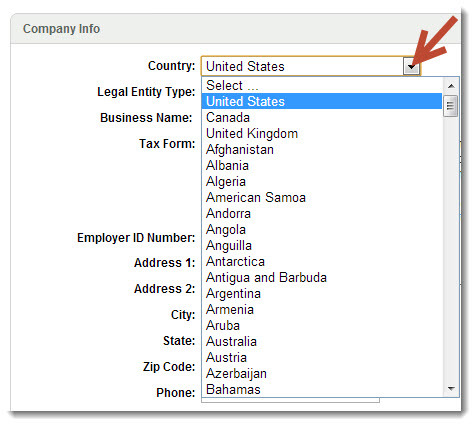 Start by selecting the country in which your business is located. You should consult with your accountant and legal team on this. For a definition of each type, please see What legal entity type should I select? This must not exceed 45 characters. If your business is in the US, a W-9 will be preselected. If your business is in another country, you’ll have a few forms to choose from. NOTE: You do not need to send your tax form to Rakuten Marketing. During the registration process, we ask you to enter your company name and income tax identification information (social security number or employer identification number in the US) so that you do not have to submit a physical document. For more information on these forms, please see Publisher Tax Information. Both of these are 9-digit numbers. Please enter them without dashes or spaces. Rakuten Marketing Affiliate Network is required to collect this information for tax purposes. This field is optional for business not based in the United States. Our address can contain up to 35 characters on each line and include letters, numbers, symbols, and spaces. Enter your name, email address, and username and password. Your username can be up to 12 alphanumeric characters. Your password must be 8 to 12 characters and include at least 2 numbers and 2 letters. 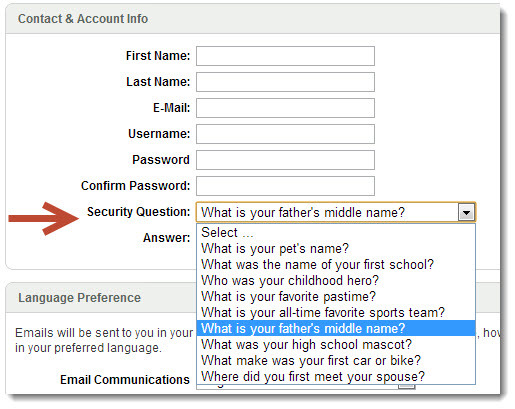 Select a security question and enter an answer for it. The Rakuten Marketing Affiliate Network Publisher Dashboard and the email communications we send to you are currently available in five languages: English (U.S.), Spanish, French, German, and Brazilian Portuguese. Please select your preference here. Review the entire global publisher membership agreement. Be sure you scroll down to the bottom of the document. If you agree to the terms, click the box to indicate this. Also click to confirm you are 18 years of age or older. You will be automatically opted-in to all global Rakuten Marketing Affiliate Networks for which you are eligible . Enter the CAPTCHA characters to confirm that you are a human. If you have trouble reading the characters, click the sound icon to hear them read. Read the Information Certification. If it is all true, type your name in the Signature field and click Continue. If you receive an error message here, please see signup troubleshooting. Select your primary business model. For definitions of these models, please see What business model should I select? Enter the month, day, and year your business was established using the format MM/DD/YYYY. Select a range for how many unique visitors your site gets a month and for the number of page views you get a month. Provide a short description of your website.You can include a URL to link to your Sell Sheet on your website or elsewhere for advertisers to download. If you want to know more about what your website information is used for, please see What is my website information used for ? 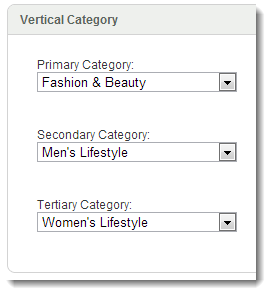 Select the primary vertical that your business fits into. You can select up to three. Select the gender and age range of your customers. Note: you may select more than one age range. Enter the amount of commissions you would like to trigger a payment. The amount must be at least the minimum payment threshold for your country of residence. Please do not include decimals, spaces, commas, or currency symbols in the field. The minimum is 50 USD, CAD, GBP, EUR, & AUD for all payments. Check the boxes if you’d like to receive the Rakuten Affiliate Network newsletters and be notified of new promotions offered by advertisers. You’ll receive an email from Rakuten Affiliate Network asking you to validate your email address. Simply click the link and your email address will be validated. If you don’t receive an email from us, please be sure that your spam software is set to accept email from @linkshare.com. For more on validating your email, please see Validating Your Email Address. If you run into a problem while signing up, see Signup Troubleshooting . 10. After you submit your completed application, it will be reviewed by our team. When it's approved (usually within a couple of business days) you'll receive a welcome email with instructions for you to follow to get started with Rakuten Affiliate Network! When you're finished, check out our Quick Start Guide to learn how to get your new affiliate program going fast. Which legal entity (business type) should I select? 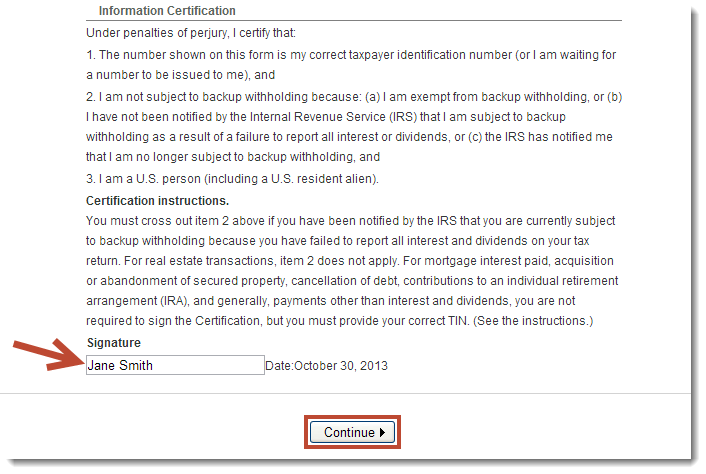 I've downloaded my W-9 form, but haven't seen any way to return it to you completed and signed. Would someone please give me advice regarding the W-9 Form? Hi Bedonna, You do not need to send your tax form to Rakuten Marketing. During the registration process, we ask you to enter your company name and income tax identification information (Social Security number or Employer Identification Number in the US) so that you do not have to submit a physical document. For more information on these forms, please see Publisher Tax Information: https://pubhelp.rakutenmarketing.com/hc/en-us/articles/200898386-Publisher-Income-Tax-Forms-Information-for-Sign-Up. Hello,I find takutenmarketing only how to become publisher,but I cannot see how to become Advertiser,and then we want to understand advertieser. Hello Guang, an advertiser in our network is also known as a merchant or brand. If you are an advertiser with products or services that your market to consumers, and you want to build a group of affiliates (publishers) to pay a commission for driving sales to your website, then you can get more information here: https://rakutenmarketing.com/affiliate#contact-form-compact.